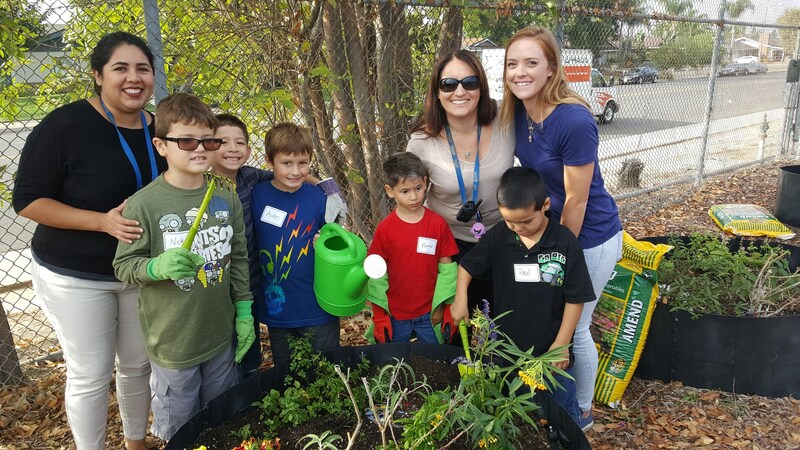 Olive Crest Academy is a school that serves special education students from school districts throughout Orange and LA Counties. Many of our students struggle with low-frustration tolerance, social skills, and anger management. As a therapeutic school we help them through their emotional challenges and teach them more constructive outlets. One method to accomplish this goal is our therapeutic garden, which we use as a teaching tool to help them understand what it takes to tend to and nurture themselves. 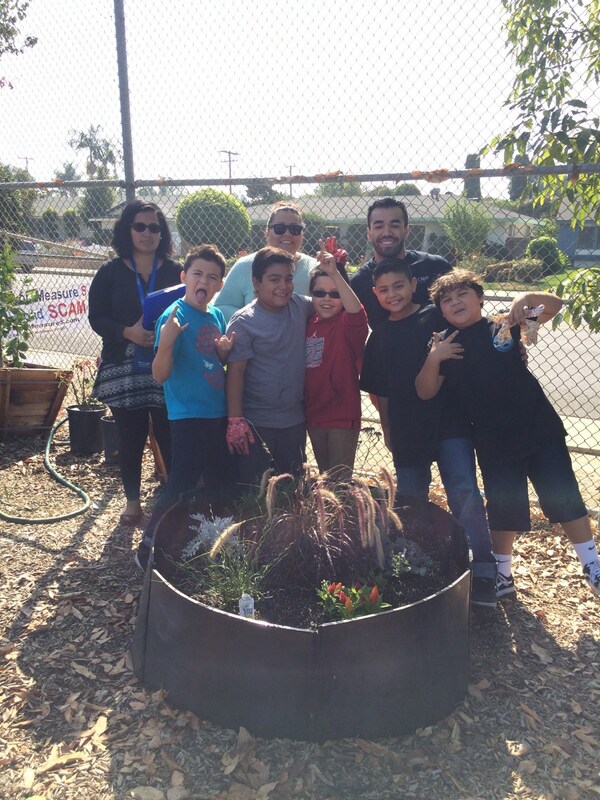 An added advantage to the garden is that the children are able to learn the benefits of proper nutrition. 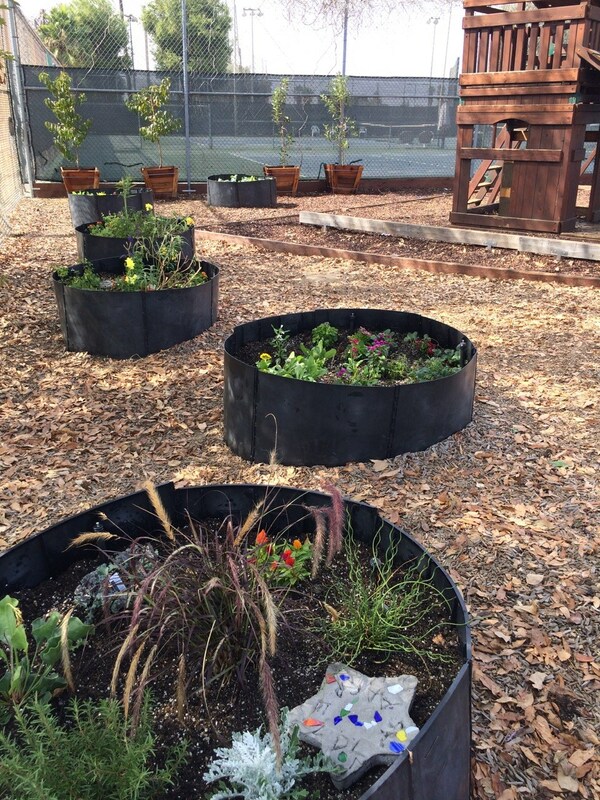 Each classroom is assigned a raised bed that they plant with their choice of vegetables, flowers and/or herbs. 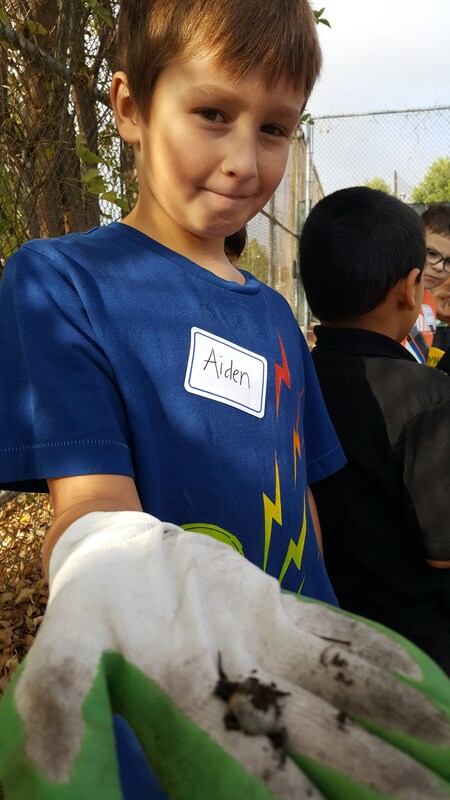 The children become acquainted with the entire process of gardening- from preparing to planting, harvesting to cooking. 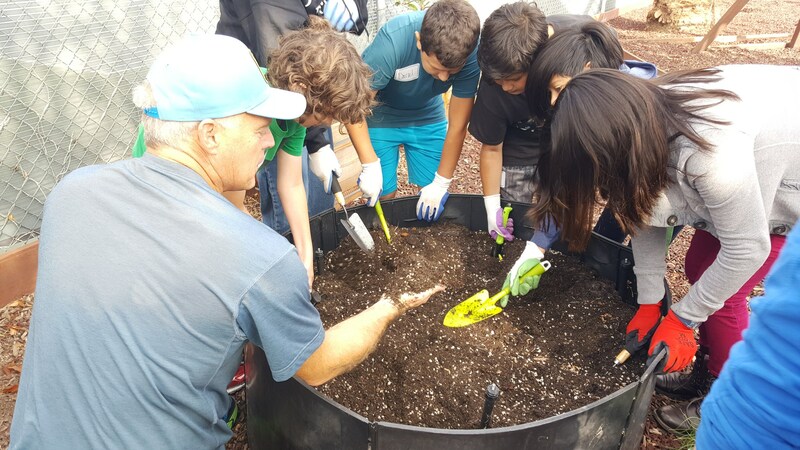 They learn the best season to plant each plant, as well as how to diagnose and treat problems when they occur. As their crops grow, so does the children’s sense of accomplishment and interest in nutrition. Our students learn about nutrition in their science and health classes. 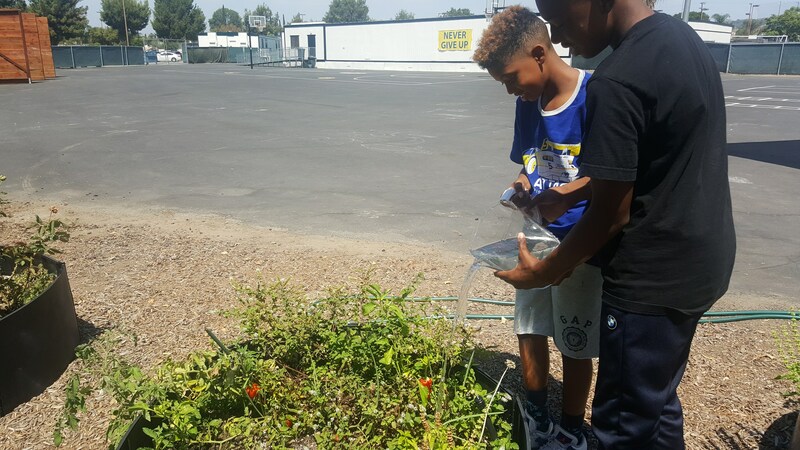 The garden gives the children an opportunity to see in living color what they read about in class and immediately practice what they learn. Being able to first research and then plant fruits and vegetables that provide the vitamins and minerals our body needs helps to increase the children’s interest in nutrition. 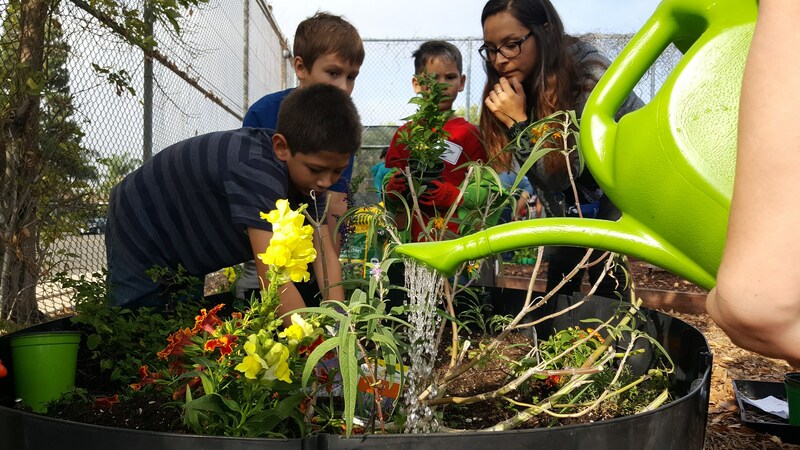 In addition, cooking healthy food with the plants, herbs and vegetables they have personally grown helps them to appreciate and learn the importance of healthy eating. 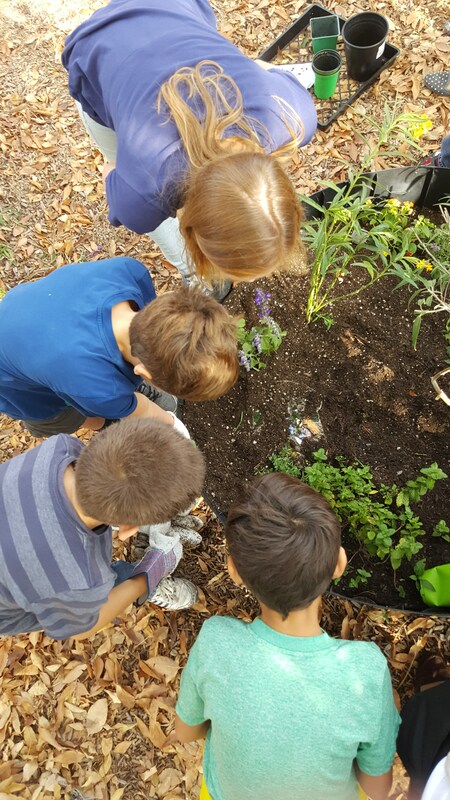 The children’s enthusiasm for nurturing plants guarantees that they will share their stories of gardening far and wide. 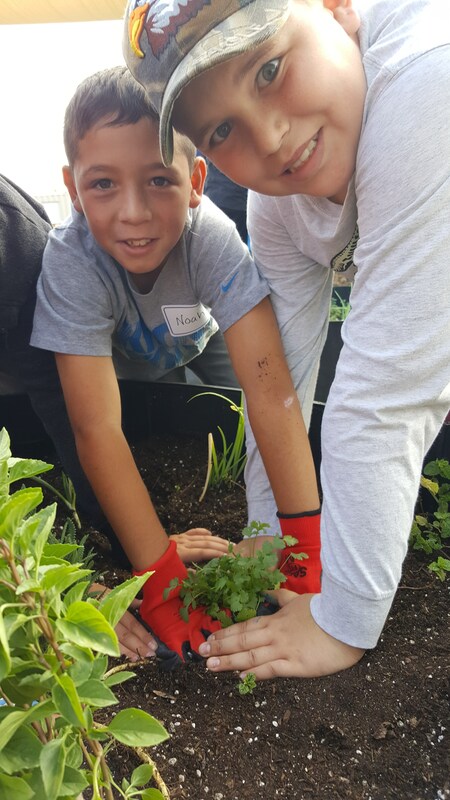 In addition to cooking dishes made from the plants we grow, we will be donating or selling the herbs and vegetables to others outside of the school, including parents and community members.